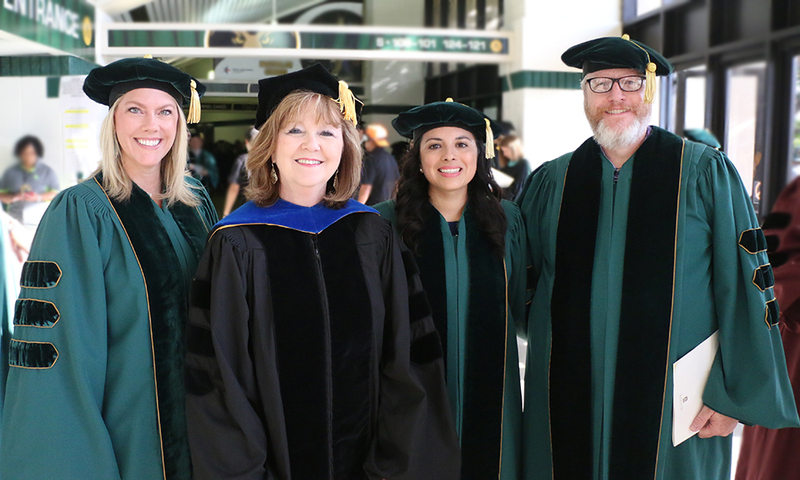 Students are both outstanding and satisfied in the School of Education's graduate programs, according to the 2017 report from the Baylor Graduate School. GRE scores for students in the Department of Educational Psychology are exceptionally strong in quantitative scores compared to the global mean in the discipline. And doctoral students in Educational Psychology rank high at the University for annual student scholarly publications, placing at No. 3. 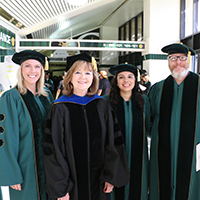 Students in the Department of Curriculum & Instruction also placed high in scholarly work, with master's students ranking first and doctoral students ranking third at Baylor in the number of presentations at professional meetings. Students also said they were highly satisfied. SOE programs account for three out of the top nine campuswide for "most satisfied master's student" — Curriculum & Instruction at No. 3, Sport Management in the Department of Educational Leadership at No. 4, and Educational Psychology at No. 9. For satisfied doctoral students, Curriculum & Instruction ranks No. 5. And Curriculum & Instruction doctoral alumni rank second at the University for "most satisfied."